A new museum called The Music Hall of Fame in Camden is all set to recreate long dead musical icons and create an interactive environment between the ghosts of rock n roll past and the general public. In a sort of 21st century version of the waxworks at Madame Tussauds, the museum wil be using the latest technology to create lifelike, life sized holograms of musical legends. The 40,000 sq ft space in Camden’s iconic Stables market is set to open in 2015 and it’s centre piece will be the 4D attraction that creates the holograms. Many will remember the ghostly appearance of dead rapper Tupac Shakur at the Coachella Festival in California who was beamed live onto stage alongside Snoop and Dr Dre and to all appearances actually performed. The hologram technology works by projecting high definition video images onto a mirrored glass box and thereby building a 3 dimensional space in which the spectre appears. 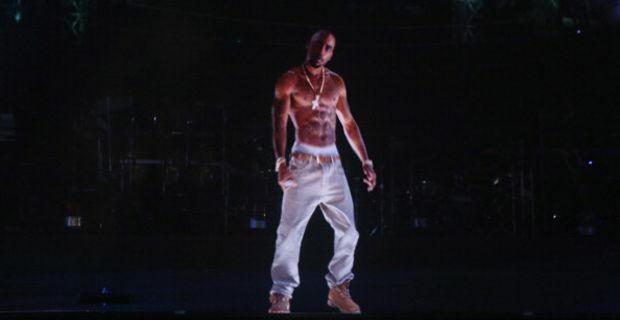 The flexibility of the holograms will allow members of the public to jam alongside their heroes and while filming the experience and taking it home on a DVD for posterity.